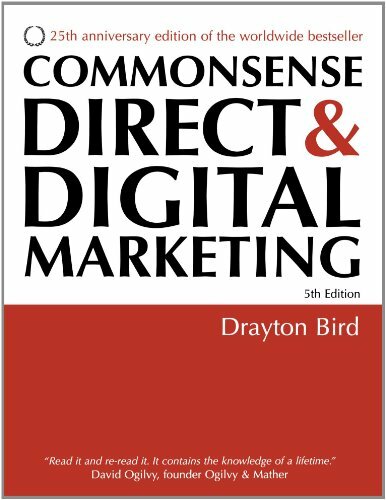 In his characteristic and witty style, Drayton Bird offers a practical yet entertaining guide to the intricacies of direct marketing. Commonsense Direct Marketing is packed with international case studies that show how companies worldwide have implemented the author's ideas, and it covers a vast range of strategies necessary for a successful campaign. individual" In 1994 he was named one of the first six Fellows of the Institute of Direct Marketing; in 1997 he was voted Educator of the Year. In May 2001 the British Direct Marketing Association placed him on their Roll of Honour. In December 2003, most of the readers of Precision Marketing voted him leading direct marketing personality in the last 15 years. His book, Commonsense Direct and Digital Marketing (1982) is in its fifth edition. Published in 17 languages, it is the best-selling British work on the subject. A reviewer of his book, How to Write Sales Letters That Sell! said, "The only book the subject should ever need. I just hope no one tries to do better." He has written over 1,000 columns for magazines in Europe, Australia, India, the UK and Malaysia and a compilation of his articles, Marketing Insights and Outrages. He has worked with many of the world's leading brands, including American Express, British Airways, Deutsche Post, Ford, Microsoft, Nestlï¿½, Procter & Gamble, Philips, The Royal Mail, Unilever and Visa. He has also worked with major advertising agency groups, including Y & R, JWT, FCB and Leo Burnett. Business schools, universities and management consultants he has worked with include Columbia University Business School, New York, INSEAD, The London Business School, ESIC (Madrid), IPADE (Mexico City), IPADE (Lima), Cap Gemini, McKinsey and A. T. Kearney. In 1977, with two partners, he set up Trenear-Harvey, Bird & Watson, which became the UK's largest DM agency and which he sold in l984 to Ogilvy and Mather. As international Vice-Chairman and Creative Director, he helped O & M Direct become the world's largest direct marketing agency network, and was elected to the worldwide Ogilvy Group board. He now runs Drayton Bird Associates, who work with many firms on direct marketing and other marketing matters. He has interests in five other firms in the UK and Asia. Does your business have a continuing relationship built in? Can you offer a good deal? Would a salesperson do this? Media: A Different, More Flexible Approach What is your purpose? You have a fantastic site - what next?